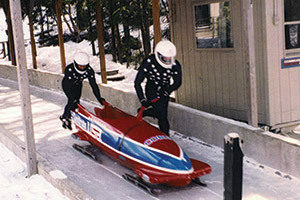 Following graduation from the Medical University of South Carolina, Martin Rooney becomes a member of US bobsled team. While living at the Olympic Training Center, the driver of his team is landmark MMA documentary, “Choke” star Todd Hays. Martin trains alongside Hays during the development of the movie and gains an interest in the new sport of MMA. Martin returns home to New Jersey, works as a physical therapist and starts training with Renzo Gracie at his new academy in New York City. Martin is asked by Renzo to train his fighters for physical performance and the TFW system is officially born. Martin becomes the first sports performance specialist to prepare fighters for the largest MMA events in the world like Pride and UFC. 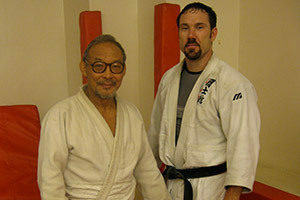 His client list includes Renzo, Ryan and Rodrigo Gracie. Martin is brought to Abu Dhabi in United Arab Emirates and commissioned to demonstrate the TFW system for founder of the ADCC World Championships. The name “Training For Warriors” is officially coined and initial logo created. Martin becomes official fitness writer for Gracie Magazine and named to editorial counsel. The TFW system is featured in monthly articles in the magazine ever since. Ricardo Almeida gets submission of the night at UFC 33. Martin corners him at the event and begins cornering numerous fighters at major events around the world. The TFW system begins to be popular among the other top fighters on the circuit and proves physical training has found its place in MMA. Martin travels to Japan multiple times to physically prepare and corner fighters at numerous Pride FC events. The Gracie family defeats the best of the Japanese fighters in events such as Pride and Pancrase with Martin handling the physical training. As interest in MMA begins to grow, Martin performs a series of lectures on the physical preparation for MMA fighters across the United States. Non-fighters also begin to become interested in the positive aspects of the TFW system. 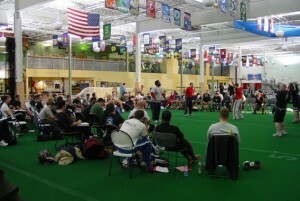 The first official Training for Warriors seminars are offered across the United States. These are attended by not only fighters, but also fitness instructors looking for a new style of conditioning. Martin’s first book, Train To Win: 11 Principles of Athletic Success is released and becomes an amazon.com bestseller. The self-published book “Training for Warriors: The Team Renzo Workout” is released. This was an overview of the TFW system at that time. This book, to date, has sold over 30,000 copies. 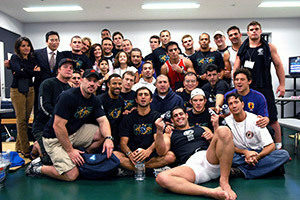 Martin helps prepare and corner the Gracie Family at Pride Bushido 2 in Japan. Martin begins using the TFW warmup at both facilities with all the athletes, and the TFW warmup spreads to hundreds of dojos worldwide. Martin performs the first Training for Warriors seminar outside of the US in Rio de Janiero, Brazil at world-famous Gracie Barra. 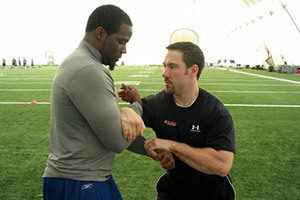 Martin is named the martial arts consultant for the NY Giants. He uses aspects of the TFW system to apply aspects of martial arts and training to football. The TFW website is launched to include an online warrior community. The community grows to over 15,000 members. Many of the members are fitness enthusiasts looking for additional inspiration for his or her training. Martin is also named the conditioning coach for the IFL team the NY Pitbulls. The Team wins the 2007 World Team Title. (Team members including Fabio Leopoldo, Marcio Feitosa, Delson Heleno, Jamal Patterson, Daniel Gracie all train in TFW system). 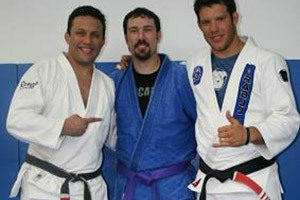 Renzo Gracie Defeats MMA legends Pat Miletich, Carlos Newton, and Frank Shamrock. Roger Gracie and Kyra Gracie win gold at the ADCC and TFW’ers Rolles Gracie and Flavio Almeida win Silver. Martin is again named the martial arts consultant to NY Jets. Harper Collins publishes “Training For Warriors: the Ultimate Mixed Martial Arts Workout.” This book goes on to sell over 50,000 copies in its first 3 years of print. TFW is featured in two back to back issues of Men’s Fitness and the TFW System is featured on the cover page. Martin is commissioned to train the Rutgers University Wrestling Team. The team trains in the TFW system and Rutgers goes on to have greatest win total in school history (20). TFW workout is featured in March Issue of Men’s Health. Over 1.5 million subscribers. 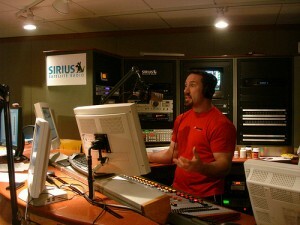 Martin becomes a regular contributor to Men’s Health and gets his own blog on menshealth.com as a result. Martin travels and trains at the Fairtex Muay Thai training camp in Bang Phli, Thailand. Also travels to Russia, Holland, Brazil, Japan, England, to train and deliver the TFW system and research training and nutrition from other systems around the world. 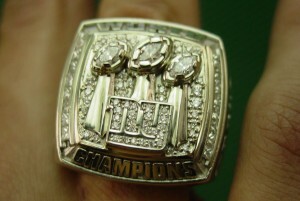 Martin is named M MA Consultant for the NY Jets for the 4th consecutive year. TFW is featured in FIGHT Magazine, Men’s Health, Men’s Fitness and Martin appears on Spike TV to host the Playbook Movie. TFWers Frankie Edgar wins the UFC Title and Jim Miller is 8-1 in his first 9 matches at the UFC. Jim and Dan Miller become winningest brother team in UFC history. TFW begins to sell Affiliate licenses to fitness and martial arts facilities interested in offering the TFW program. 11 Official Training for Warriors Affiliate Locations are sold in 7 different US states and Canada. New version of the TFW website is launched. 11 TFW Certifications are given throughout the world including: US, Italy, Scotland, and Finland. 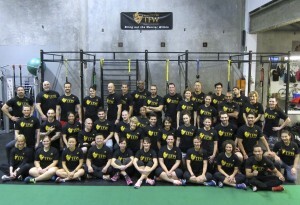 Over 250 Instructors are certified in TFW Level 1. The TFW Certification is given at Ft. Benning for the physical instructors of US Army Rangers and TFW is implemented by the soldiers. The Pushup Warrior App featuring the TFW bodyweight training is launched for iPhone, iPad, & iPod. TFWarriors1 Youtube Channel gets over 2 Million views. Training for Warriors network grows to over 35 affiliate locations in 10 different states and 7 countries. Total number of TFW Certified Instructors grows to 700 worldwide. TFW Courses are given in the Dominican Republic, China, Finland, Germany, England, Iceland, and Scotland. Martin is honored as an advisory board member for Livestrong.com. 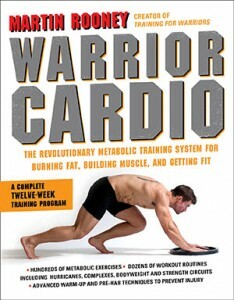 Warrior Cardio, the fourth book in the Training for Warriors series, sells 20,000 copies in the first six months of release. The first-ever Level-2 Certification is held and 25 certified instructors attend. TFW’er Jim Miller becomes the UFC’s winningest lightweight in history. The TFW youtube channel goes over 3 million views. Martin Rooney is named #54 on the top 100 most influential people in Health and Fitness in the world for 2012. The TFW Affiliate Network grows to over 100 locations in 29 different US States and 18 countries on 5 continents world-wide. TFW Level 1 Certifications are performed across the United States in Washington, California, Nevada, Missouri, Ohio, Vermont, Georgia and New Jersey. 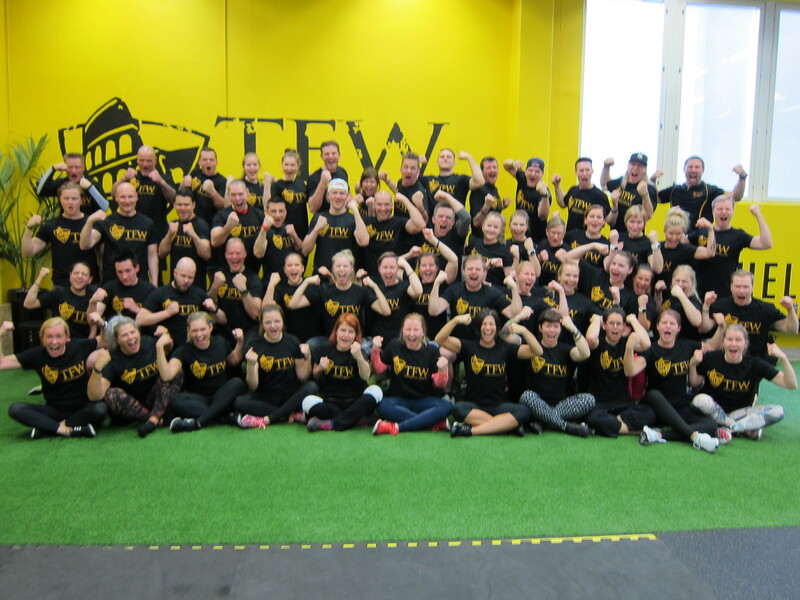 The first-ever TFW Certifications are held in Iceland, Germany, Ireland, Newfoundland and Denmark for over 250 participants. The online version of the TFW Level 1 Certification is created to allow trainers in distant countries to experience the system. 350 people from over 30 countries take part in the course. The number of TFW Certified instructors reaches 1,500 worldwide. The third version of the www.trainingforwarriors.com website is launched. The TFW system is also featured in presentations by Martin in Florida, Rhode Island, Texas, North Carolina, New York, Illinois and Massachusetts. After a two year process, Rooney’s Rules, Martin’s eighth book is released. The book sells over 20,000 copies in its first three months of release. 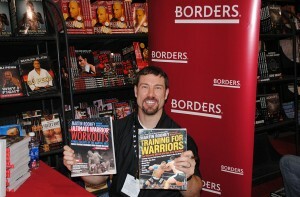 The books, Training For Warriors and Warrior Cardio are printed in German and Chinese. TFW forms a partnership with adidas Training. The TFW System is featured again on SPIKE TV as an fitness training program. TFW is presented at IHRSA, one of the largest health and fitness shows in the world, Perform Better, the Poliquin Institute, the TT Summit and ECA. The TFW System is featured in Men’s Health, Muscle and Fitness, Stack Magazine, and in magazines in Germany, Denmark and Finland. The first-ever TFW Affiliate Summit is held in Charlotte, NC. Over 50 TFW affiliates converge to share best training and business practices. The TFW Affiliate network raises over 50,000 dollars in charity events for causes around the world. TFW launches an online educational platform – The Training For Warriors Dojo – an exclusive, members-only area that gives you direct access to Martin Rooney and the TFW Team. TFW Founder, Martin Rooney is named in the top 40 of most influential people in Health and Fitness for 2013. The TFW Affiliate Network grows to over 200 locations in 35 different US States and 30 countries world-wide. The first-ever online version of the TFW Level 2 Certification is created to allow Level 1 trainers from around the world to further their knowledge of the TFW System. 250 people from over 35 countries take part in the course. The first-ever TFW Certifications are held in Australia, Belgium, Puerto Rico, and North Carolina. Certifications are also held in Nevada, California, Scotland, Canada, Finland and Germany. Representatives attend from 24 different countries and 37 different US States. The number of TFW Certified instructors reaches 3,000 worldwide. TFW is presented in California, Massachusetts, Texas, Nevada, Washington, Colorado, Rhode Island, Illinois, New Jersey and South Carolina. 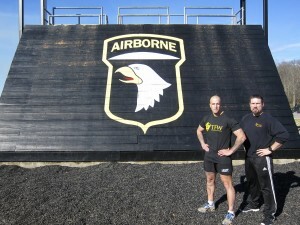 The TFW program is delivered to physical instructors of US Army Airborne. Aspects of the system are incorporated into current training protocols. The Training For Warriors System is presented for the first time at the NSCA National Conferen ce. Martin covered the elements behind the system which have lead to it’s popularity and success. The TFW Affiliate Network expands to offer the Training For Warriors system in new countries such as Finland, Lebanon, Puerto Rico, Belgium, Kuwait, Australia, Bali, Malaysia, Singapore, Norway, Bahrain, Vietnam and New Zealand. TFW is featured in the business section of the NY Times and Club Business International Magazine as an up and coming global fitness program. The TFW youtube channel eclipses over 3.6 million views. The second annual TFW Affiliate Summit is held in North Carolina. Over 120 TFW affiliates meet for 3 days to improve both business and training systems. TFW’s online educational platform – The Training For Warriors Dojo – an exclusive, members-only area that gives you direct access to Martin Rooney and the TFW Team eclipses 1,000 registered users. TFW Founder, Martin Rooney is named in the top 100 Most Influential People in Health and Fitness for the 3rd year in a row. 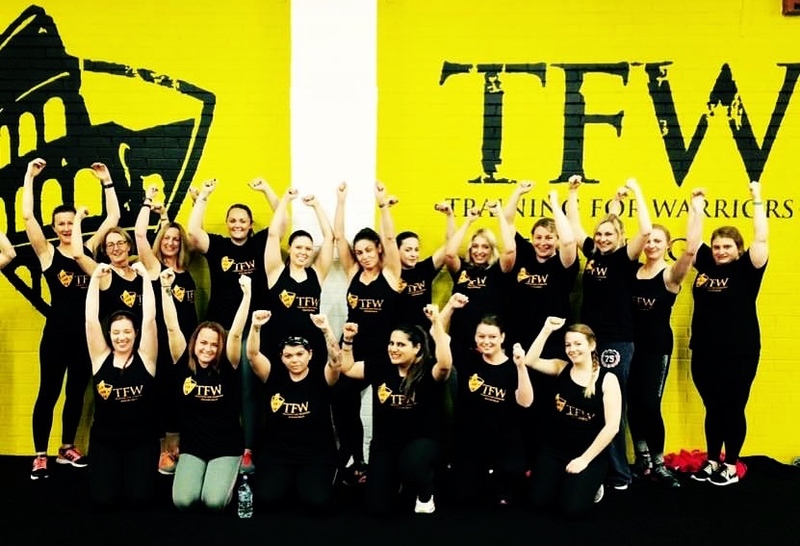 The TFW Affiliate Network grows to over 250 locations. Thousands of people take part in TFW workouts around the world and charity events combine to raise hundreds of thousands for good causes. TFW launches Warrior Tracker, a custom software program only available to TFW Affiliates to track member progress. Every TFW Certification sells out for the second year in a row. TFW is presented in the US in California, Massachusetts, New York, Virginia, Washington, New Jersey, North Carolina, Florida and South Carolina, Rhode Island, Illinois and New Hampshire. The Level 1 is also presented in Denmark, Finland, Australia, Scotland and the first-ever TFW Certification is held in Slovenia. TFW is a featured sponsor of the Martial Arts Business Summit. TFW is also a featured sponsor of the largest fitness expo in Kuwait. TFW is featured at 8 different Perform Better events across the United States and in Germany. TFW is presented at the IDEA East Coast Fitness Convention in Alexandria, Virginia and IDEA West Coast in Seattle, Washington. TFW is presented at and a sponsor of the Evolve Fitness Symposium at Auburn University in Alabama. Over 300 students from 26 different Universities took part in the TFW lecture and training session. TFW is also presented to the coaching staff of the University of Tennessee at Chattanooga. TFW is featured in Men’s Health magazine and its regular article in Gracie Magazine reaches 15 straight years. 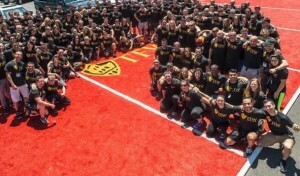 The TFW Affiliate network sets its first Guinness Book World Record in a global event held in March. The event also raised over $50,000 dollars for pediatric cancer. TFW launches a new one-day Coaching Event and presents the Course in Illinois, California, Slovenia, and Australia. The third annual TFW Affiliate Summit is held in North Carolina. 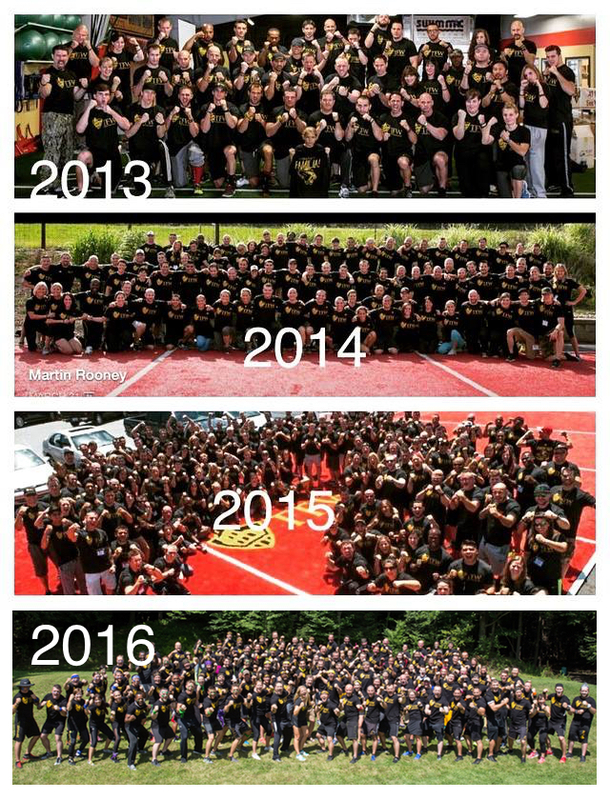 Over 170 TFW affiliates meet for 3 days to improve both business and training systems while setting another Guinness World Record. TFW launches Coaching Greatness – an online course containing over 60 videos and 10 hours of information designed to teach coaches the unexplored skills and mindset necessary to take clients and students from knowledge to action. The TFW Affiliate Network reaches 275 locations worldwide. Thousands of people per day around the globe use the TFW system to burn fat, build muscle and feel better. TFW launches the TFW Business Division for its existing affiliate locations. Over 60 official locations join this division which delivers strategies and business related content for the fitness industry. The second annual TFW Business Division Winter Conference is held. Every TFW Certification sells out for the second year in a row. TFW certifications are performed in the US in California, Florida, New York, Texas, Washington, Illinois, North Carolina, and Minnesota. The Level 1 course is also presented live in England, Denmark, Finland, Australia, Germany. The TFW Level 1 and 2 Online Certification classes sell out for the second year in a row. A new live course called Coaching Greatness is launched and presented in the US in New Jersey, Illinois, Florida, California, New York, Minnesota, Ohio, and in Finland, Denmark, England, and Australia. TFW is featured at 9 different Perform Better events across the United States and in Germany. TFW is featured at the ECA event in New York City. TFW and Martin Rooney are keynote for the Virgin Active Live event in Wembley Stadium in London, England. Founder, Martin Rooney releases his 10th book, “The Book Of Five Things” to go along with “Rooney’s Rules” which was released in the previous year. TFW is featured in its regular article in Gracie Magazine for the 16th straight year. The TFW Affiliate network gets accepted for its second Guinness Book World Record in a global event held in the previous July. The fourth annual TFW Affiliate Summit is held in Buffalo, NY in August. Over 150 TFW affiliates from 15 countries meet for 3 days to improve both business and training systems. Martin launches the TFW podcast called, “Into The Roar.” Over the course of 2017, the podcast gets over 200,000 downloads and was featured in the top 100 health related podcasts on Apple. The live course Coaching Greatness, which features the coaching concepts of TFW is presented in 14 different US states and Canada. Over 600 coaches attended the course. Finland becomes the second largest country in terms of TFW Affiliates with 12. As a result of the widespread reach of the program, TFW is named one of the hottest fitness trends in the entire country. TFW is presented to over 1000 trainers and coaches at the Fitness Business Summit in San Diego. TFW Founder, Martin Rooney is named in the top 100 Most Influential People in Health and Fitness for the 4th time. TFW is featured at 10 different Perform Better events across the United States. The fifth annual TFW Affiliate Summit is held in Buffalo, NY in July. Over 150 TFW affiliates from almost 20 countries meet for 3 days to improve both business and training systems. The TFW Affiliate network sets another record of over 39,000 sit outs in a global event held at the Summit. The event also raised over $105,000 dollars for a family from the TFW network. The emotional event is featured on Ellen Degeneres’ FB.